Worker fatalities happen at nearly every type of job, but the construction industry accounts for the majority of worker deaths. Heavy equipment and dangerous job sites are two variables that often play a factor in construction injuries. Even with safety laws, protective gear, and employee training, construction injuries happen every week, and those injured need accident help. What are some common accidents causes, and how can a Houston construction injury attorney at Richard J. Plezia & Associates be of assistance? Falls – Workers falling anywhere from a few feet to several stories as the result of faulty stairs, scaffolding, railways, and missing rails. Struck by an object – Workers who were struck by objects such as power tools, vehicles, and equipment. Electrocutions – Workers killed when an electrical system is improperly maintained, not installed correctly, where water hazards are allowed to collect, and/or when vehicles collide with power lines. Caught in between – Workers can be killed when they are struck by moving equipment and caught against a wall, the ground, another vehicle, or another piece of equipment. Owners and operators must determine if the walking and working surfaces have the strength and structural integrity to support employees. Employees may work on the surfaces only when they have been proven to be adequate. Each walking and working surface – whether horizontal or vertical – with an unprotected side or edge 6 feet or more above a lower level must be protected from falling hazards by the use of guardrail systems, safety net systems, or personal fall arrest systems. Each worker in a hoist area must be protected from falling 6 feet or more to lower levels by a guardrail system or personal fall arrest system. Trench collapses are another common construction injury, with OSHA reporting that two workers are killed in such accidents every month in the United States. Vibration injuries are also not uncommon in construction, where workers are exposed to repeated vibrations, particularly in their hands and arms, from power tools and equipment. When employers fail to meet these and other safety standards, it often results in serious worker injuries. Like injuries sustained in industrial accidents, workers injured on the job can sustain any number of injuries including broken bones, burns, bruises, neck trauma, back injuries, head trauma, and paralysis. When construction workers are injured, they need accident help for protection from predatory actions by owner-operators and insurance adjusters. If you or someone you know has been hurt or killed in a construction accident, you have a limited time to act. 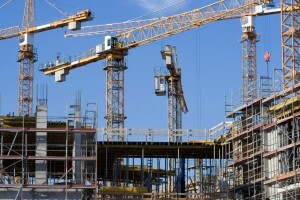 Immediately contact a Houston construction injury attorney at Richard J. Plezia & Associates. At no cost to you, we will help protect your rights and hold negligent parties responsible for their bad acts.